Pacific Bangladesh Telecom Limited is the first company in Bangladesh to provide mobile telecommunication service and has constantly given its customer more that one reason to be proud of, while the innovation & up gradation in network has resulted in the lowest fault rate in the country. CityCell’s sales & customer service team has won many hearts through their efficiency, skill & customer focus attitude. 8 For building appropriate and leading edge Technologies. ü First to adopt CDMA technology in the sub-continent. ü First ever private wireless network in Bangladesh. ü First to connect Cox’s Bazaar to rest of the world. Pacific Bangladesh Telecom Limited technological up gradation has constantly been setting standard for other service provider in the country. We upgraded our network from the AMPS to the state of art CDMA technology. Now we can boast of the SDH microwave network connecting area between Dhaka – Chittagong and Dhaka – Sylhet. Six (6) Divisions, almost 50 districts & 409 Unions. Alap 24, Alap A, Alap B, Alap Call Me. Its true that CityCell Digital was the first company in Bangladesh to provide mobile telecommunication service and was to have a large share in the market, but due to the emerge of other companies like Grameen Phone its facing stiff competition . It’s surprising that the Grameen Phone has taken their share and now is the leader in the market having almost 17 lakhs customers where CityCell is having only nine lakhs and seventy-five thousands. Taking this painful fact in to consideration, according to the marketing manager the company has adapted many strategies, which not bore satisfactory fruits. To bring a dynamic change in to the market, the company from time to time made many R&D and summing all from past they have developed a new set of strategy. This set of strategies, according to the marketing manager has brought the change, their expected change. ¬ The present situation of the company. 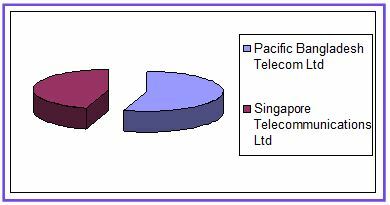 ¬ Market share of the company. ¬ Financial capabilities of the company to launch a new product and expand network coverage. ¬ The special features should be included in the new product. ¬ How different product is from the competitors offerings. ¬ Selecting mobile sets on the basis of market demand, their special features and prices. ¬ Determining the products pricings. ¬ Determine attracting customers on small or large basis. ¬ Consider the economic condition and customer’s affordability, pricings and the competitors’ offerings. ¬ Offer extra benefits to the customers. ¬ Make R&D to find out new facilities and the companies weak ness. ¬ Make R&D to find out what the customers really needs and their present satisfaction. ¬ Let the customers know what the offerings are. ¬ Distributing the products and its methods. ¬ Best timing to launch the product. ¬ Best timing to reduce prices. ¬ Increase the market share and customers’ satisfaction. ¬ Develop the existing products. The present situation of the company is much better than the previous one. But it’s still struggling to oust their competitors. Within the last two years they have included many of towns in to their network coverage. Their customers also have increased from around 5 lakhs to almost nine lakhs and seventy-five thousands. The products that they offered previously were much expensive and the mobile handsets were much bigger in size. The present products that they are offering are much smaller in size and cheaper too. They are supplying the current demand. At present they have a comparatively large number of areas under network coverage. They have coverage on 5 divisions –almost 50 districts and 409 unions. They are determined to bring the whole Bangladesh under their coverage within February, 2005. The main feature of CityCell products is in the facts that they are facilitating the option of T&T incoming and out going in all the categories. In this case they still ahead of the other companies where they are giving T&T incoming and out going only for a single or two categories. The pricing too is comparatively cheaper. Their products costs from tk.4999 to tk.25999 where as the other companies are offering from tk.5345-tk.39320. The other companies are charging for nationwide roaming and citycell subscribers don’t charge any thing. At the beginning they were offering only Motorola mobile phones but at present due the increased demand of Nokia, Samsung and other ones they had to include them too. ü How much the mobile set costs. ü Vat and taxes paid to the government. ü Commissions to the agents and etc. They don’t try to attract any segment of the market rather they target the market as a whole. They have added a number of extra benefits to the customers. Some of these benefits are free talk time, off peak, super off peak, friends and family numbers, through which the customers talk to any three or two chosen numbers at half rate through out the day. It should be noted that while CityCell offers 2-3 numbers talking at half rate, to both its pre and post paid customer, other companies are offering 1 for their pre-paid and 3 for their post-paid customer. Moreover the subscribers can also get information instantly by messaging at a much cheaper cost on train schedules, local and international news, sports news, flight schedule, delicious cuisine, access to police station and fire services. The latest service that they introduced to the customers is one second pulse facility to the post-paid subscribers which was barred before. Each subscriber of CityCell can use helpline 121 (from CityCell Mobile) and 011-121121 (from any mobile. Each citycell subscribers can, on arising any problems, call to either *800(free of charge for all prepaid customers) or 011810888 and place their complaints. More over the customers can also use the online help from www.citycell.com, they can find out each and every thing about their mobile sets, prices and other benefits. They can also place online complaints and get solutions instantly. When the mobile phones are sold they are not given any extra packaging. The phones are given in the boxes that they get from the mobile companies and in addition the customer gets an attractive medium sized shopping bag in which the whole CityCell Digitals logo is embossed. The products gets distributed through their won company vehicles and in some cased they take the help of physical distribution firms. They have a number of agencies and distributors who bye the products from the Pacific Telecom Ltd. and resell them in to the local market. For this transaction they get a certain percentage of commission with some facilities included. Whatever product they develop, they launch it immediately but they wait for events or festivals such as “ The Baisaki” , ”Eid” or when the new budget or taxation on mobile phones are reduced. According to the marketing manager, the needs and wants of customers never remain same. It changes. Taking this in to consideration the company develops and offers a variety of products with different features. This has been a regular route from time to time. He also says is the customers needs and wants are met they are automatically satisfied and their loyalty gets established or goes high. Since, each information they give concerns the inside of the company, the marketing manager could mot give us information on questions such as how do they increase the market share, how do they develop the existing products or when and how do they reduce the prices. According to the marketing manager it’s the marketing activity through which the products are exposed to the customers and each activity should be dynamic and best enough attracting and best enough to bring the customers in and not out. Its just the way a bees is attracted to the flowers. Just to ensue this in the best possible way not only CityCell Digital but others too spend a good lot of money for advertisements so that the bees are attracted to them. Some of the ways they carry out their marketing activities are mentioned bellow. Till now they have given two television advertisements one of 36 seconds and the other is of almost 41 minutes. The models were well known Tisha and Nobel and the jingles were “Dheet Deri Hoey Gelo ………. Raag Koiro na Bondhu amar” and “Nishethe Call Koiro Amar phone”. Among these two advertisements the later one was much successful in their attempt. The advertisements on newspapers are almost regularly given by the mobile phone companies. The two key reasons behind this is, its affordable and read in mass by the people. While they choose the newspaper, the highest selling newspaper is always given priority and CityCell puts their advertisements on the best selling and distributed newspapers. When they place the ads they focuses more or highlights mainly on the items that takes the customers attentions at the first sight. For example- when they advertised for their products pricings the highlights the mobile phones and their prices which are always in figures such as tk.6999 or tk.7999. This is a Psychological Pricing, where the customers take in to account the figure as rounded. CityCell sponsors a number of programs. The programs that they sponsor are mainly on televisions channels (part of news’s at 8 and 10), sections of magazines (Binodon), and hot talks on television channels. Their sponsored programs use their logo and let the public see. This in turn also puts an effect in to their minds. A number of billboards and signboards are seen in Dhaka and outside showing the CityCell logo and a message for public awareness below. 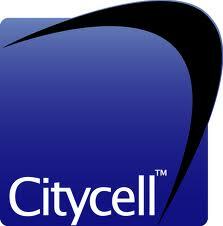 This is a newly program undertaken by CityCell, in which it brings superstars who answers customers questions. The customers do respond great. The named it as “CityCell- Tarar Sathe “. Here nothing but each superstar brought in way or other becomes a model for CityCell and advertises in a way or other for them. Another interesting way of advertisement is sponsoring and undertaking quiz programs. When the SSC result came out, they undertook such program. This was published in the Daily Prothom Alo and a huge numbers of students participated. There are some other activities to be taken by the company. But what are they were not disclosed to us remains just a sort of surprise. Cash card is a type of scratch card, which allows post-paid customers to pay their phone bills through their own CityCell mobile. Ø Customers don’t have to wait for the bill statement. Ø Cash card allows customers to avoid disconnection by making advance payment from anywhere, anytime. Ø Customers can avoid waiting in a long queue in the bank. Ø Customers in the remote area (where banking facility is unavailable) can get uninterrupted service. ü Twenty four hours computerized Customer Service. Each subscriber of CityCell can use helpline 121 (from CityCell Mobile) and 011-121121 (from any mobile. ü First time introduce mobile phone in Bangladesh. The first launched mobile company in Bangladesh. ü First time CDMA mobile service introducer in Bangladesh. ü They have introduced the SMS facility with other mobile phone service organization of Bangladesh. ü They are the first introducer of Friends and family number in all the mobile phone service companies of Bangladesh. ü First time introducer of one second pulse in a package for the better facility of the subscribers. This was not at all an easy project to complete. Gathering information was also a difficult task. What ever the limitations were, we made our best effort to overcome them and anchor safe. No matter how good we do in designing the project but it’s the knowledge that we gather that remains us till the end and satisfies us. At last, we hope that our attempt behind this project is a successful one and will surely bear the expected fruit.